BP 3350: The Superintendent or designee shall establish procedures for the submission and verification of expense claims. The Superintendent or Deputy Superintendent may establish reimbursement rates. The following guidelines are based or creating procedures that require the least amount of preparation and processing but still meet the IRS & GSA requirements for an Accountable Plan. They are also based on the expectation that travel will be planned in advance and take advantage or early registration and published “Conference Rates” for hotel stays. ALL EXPENSES, including Out of Pocket Reimbursement must be approved through the PO process PRIOR to travel. Unless established by an MOU with a bargaining unit, no pay or reimbursement will be made for the time spent or products created while on approved travel. Reimbursement claims must be submitted within 30 days of the event/travel during the school year and within 60 days if travel takes place during the summer. The district will support the hotel costs for events/activities that are over 3 hours in length AND more than 90 miles away from the district office or consecutive multi-day events that are more than 60 miles away. For these events, travel may take place the night prior to the event if the event starts before 10 a.m. for trips over 90 miles or 9 a.m. for events over 60 miles, but hotel costs will not be covered after the event/activity has concluded unless reasonable travel arrangements would result in staff returning home after 9:30 p.m.
Entertainment (even if sponsored by the event), leisure tours, alcoholic beverages, gifts, or expenses for guests/spouses/family/friends are NOT reimbursable. Any type of tips throughout your travel are not reimbursable, incidentals are calculated with your daily meal reimbursements. Since routine commuting to work is not a reimbursable expense (it is not tax deductible so would be considered income), reimbursement will be based on mileage from the person’s home or work site depending on where they actually leave from, to the actual event. Staff should plan in advance so they are at the conference location and do not incur other commuting expenses at the event. On a normal workday, staff has access to their kitchen at home for breakfast, to make a lunch to take to work, and dinner when they get home. Since travel without an overnight stay does not interfere with that option, meals are not considered reimbursable when there is not an overnight stay (per IRS/GSA). When there is an overnight stay, the district will use the GSA High-Low Per Diem rates. No meals will be reimbursed for travel that does not include an overnight stay. Approved travel outside the district will be reimbursed at the IRS rate of 58c per mile. Attach a Google Map to the Out of Pocket Claim. Unless more than one staff member attending the event are staying in a room, the room will only be approved/reimbursed for a standard room at the single occupancy rate. Staff may be reimbursed for the actual cost of the hotel (including mandatory tax and fees) up to the amount of the published “Conference Rate.” If no “Conference Rate” is published or it has expired, reimbursement will not exceed $175 per night or the original published “Conference Rate”, whichever is higher, without approval and written justification for the price by the approving administrator. An itemized receipt is required to be submitted if the reimbursement is out of pocket. In lieu of out of pocket reimbursement, advance payment can be made directly to the hotel through the purchase order process. Requisitions should be entered at least 60 days prior to the date of travel with the hotel confirmation number included. The district will then pre-pay the hotel costs on the district credit card. Although the hotel room charges will be paid using the district credit card, the traveler will be required to present a personal credit card for incidentals to the hotel at the time of check in. The district will reimburse the most economical parking within a 2 block radius of the hotel and event. The mileage rate will be set by the IRS rate and will be updated as part of the budget process every year. The reimbursable mileage rate for 2019 is 58c per mile. Reimbursement will be based on mileage from the person’s home or work site depending on where they actually leave from, to the actual event. Staff should plan in advance so they are at the conference location and do not incur other commuting expenses at the event. Attach a Google Map to the Out of Pocket Claim. With administrative approval, mileage from the hotel to the conference and back to the hotel will be reimbursed two times per day. Cheapest non-shared ride service included, if you do not have your own vehicle. Economy class airfare is only permitted for events that are more than 375 miles from the district office unless staff can show that the cost of traveling to the airport, parking, airfare and transportation between the airport and event are less than the cost of the reimbursable mileage. Airfare on an Out of Pocket purchase order may be reimbursed prior to travel once an itemized bill is submitted with the Out of Pocket form. Rental vehicles are not allowed unless approved by the Assistant Superintendent, Deputy Superintendent or Superintendent. If approved, the vehicle should be standard class or a van based on the occupancy needs and the “loss damage waiver” must be purchased. The closest airports are Fresno and Merced. These airports might not offer the lowest fares, but they require the least amount of travel to the airport, do not necessitate hotel stays the night before a flight, and have reasonable parking rates. Airport parking is only reimbursable at the airport economy rate. Airfare is usually cheapest from San Francisco, Oakland, and San Jose, but that requires increased travel costs to get to the airport, may necessitate a hotel stay the night prior to the flight, and travel times are very unpredictable due to high traffic volume in these areas. When using airfare, review total costs to fly out of Fresno, Sacramento and Bay Area airports (including cost of ticket, parking and travel). Do not use Bay Area airports if the total cost is higher than flying from Fresno or Sacramento. Due to the uncertainties of getting to Bay Area airports, you do not have to use them unless the total costs is a significant savings over flying out of Fresno or Sacramento. Review your options with the administrator who is authorizing the trip to determine if using a Bay Area airport is appropriate. All other staff are encouraged to use district vehicles when possible. Approval by your immediate supervisor is required to be reimbursed for travel within the district and it must be approved prior to the travel. Other actual costs associated with authorized travel are allowable, provided they are reasonable and necessary. Examples include parking, taxi/ride from airport to hotel, and toll bridge fees. Itemized receipts are required to be submitted for reimbursement for these items. Mileage is reimbursed round trip from your work location to the conference and round trip from the hotel to the conference. You may estimate or round the miles to a whole number if you wish. Our district reimbursement rate for mileage is currently $0.58. View the Sample Requisition & Purchase Form. 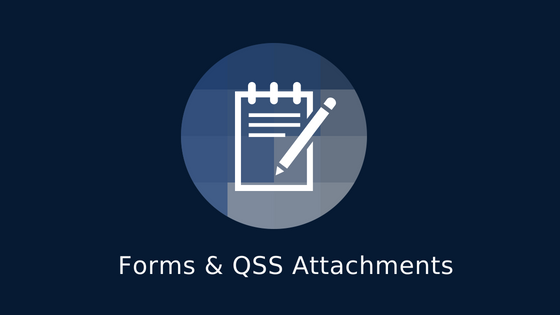 Please, proceed to form for QSS Attachments.